Mr. Hearst was a man of strong common sense. He was simple, genial, companionable. He had a lively vein of humor. He was hopeful and courageous. His heart was kindly, forgiving, humane. He was an excellent judge of character, readily detecting the true from the counterfeit. In physique he was tall and striking in appearance. His energy, thrift and success, his integrity, manliness and unostentatious, mark him out as a representative American. Phoebe Hearst became the sole heir to her husband’s estate upon his death. Several years prior to his father’s death William had taken over operations of the Examiner, thus beginning the phase of the family’s media dynasty. During that period Phoebe divested herself of some of the mining interests to support her son’s increasing newspaper holdings, but held on to Homestake. 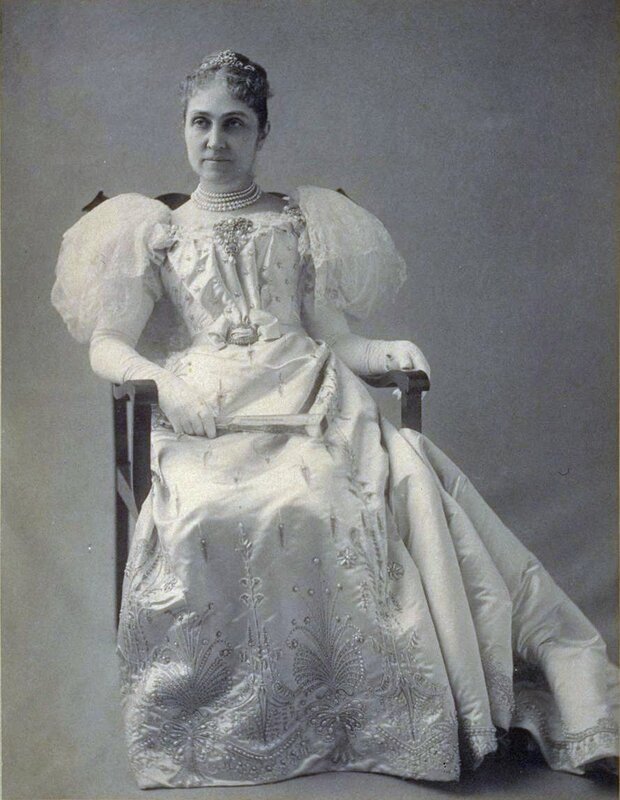 Phoebe Hearst’s social theories and views on labor treatment were far advanced for her era. As a philanthropist, she believed corporate money should be used for the good of mankind. She believed that Homestake’s gold should benefit those who mined it, as well as the stockholders. Lead’s residents became a primary beneficiary of some of Hearst’s generosity. In 1894, as a Christmas gift for the people of Lead, Phoebe founded a free library, maintained at Phoebe’s personal expense until her death. Her estate provided funds until 1925 when the estate donated all the books, art objects and equipment to Homestake Mining Company. In addition to creating a free kindergarten and the library, Mrs. Hearst made a $200 annual donation to every Lead church, and made the Homestake Hospital free of charge for all employees and direct dependants in 1910. Homestake gave Lead the Homestake Opera House and Recreation Building in 1914, and Phoebe approved a pension plan for Homestake employees in 1917. Her giving to numerous national causes and charitable organizations is a remarkable story in and of itself. Phoebe Hearst died of influenza on April 13, 1919, leaving a strong legacy of herself and her husband in Lead for generations. George and Phoebe’s son William Randolph (the “inspiration” for the Orson Welles movie classic Citizen Kane) continued in the newspaper business until his death in 1951, and the family remains a force in the world of media and business. Today, the Hearst Corporation owns or manages 27 TV stations, 16 magazines, 12 daily newspapers, several cable enterprises, real estate holdings, timber and agricultural operations in California, and commercial properties in New York City and San Francisco. Forbes Magazine estimated the corporation’s 1999 revenues at $4.4 billion. The Homestake was sold to Canadian-owned Barrick Gold in 2000, and the Mine was officially closed in 2001.